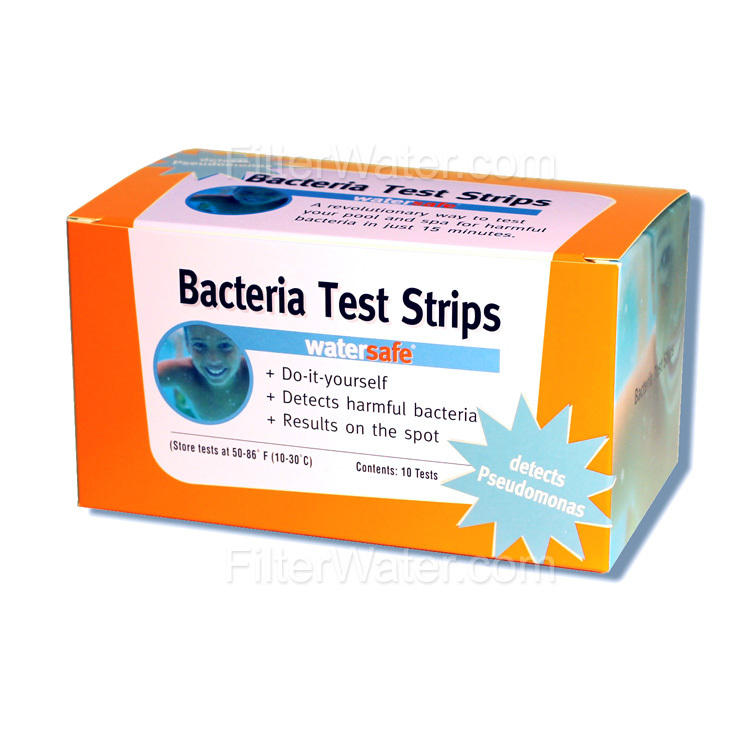 A do-it-yourself Pool and Spa Bacteria Water Test strips. 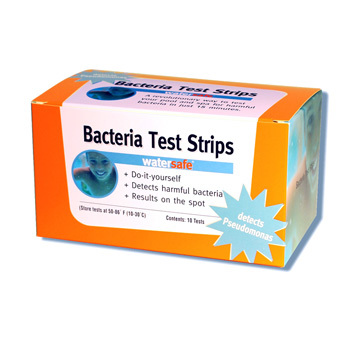 Revolutionary way to test your pool and spa for harmful bacteria in just 15 minutes. Contains 10 tests. Now there is a simple test that detects bacteria in swimming pools and spas in less than 20 minutes, with a simple procedure that requires no instrumentation or user training. 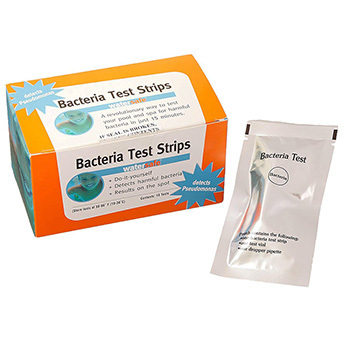 This Bacteria Test has all the accuracy and reliability of a lab test, but in a disposable test strip. WS359BP Rapid Bacteria Pool Test kit, 10 tests. Affordable test kits, just over $2 per test kit. On site results, no chemicals to add, no transporting of water samples! New, upgraded verison with improved detection, now only 15 minutes! Do not open packet until immediately prior to use! POSITIVE: line 1 and line 2 present. line 1 may be lighter than line 2. Detects Pseudomonas, Aeromonas, E.coli, species of Salmonella, Shigella, Enterobacter, Klebsiella and many other Coliform and non-Coliform bacteria. MSDS is NOT required, no wet chemistry! Do not open the foil packet until immediately prior to use. Use vial provided. Sample pool water at the shallow end of the pool. Do NOT reuse vials, test strips or droppers. The Pool and Spa bacteria test is a quick and east way to check your pool of harmful bacteria. We have a swimming pool, and I us this product quite often to make sure the water is safe for my kids and I. Results are quick, only twenty minutes! This is a great product that I would recommend to all pool/ spa owners.